Posters announcing different festive events are part of the cultural tradition of Ibi and many of its neighbouring towns, forming an important and popular part of its artistic expression. 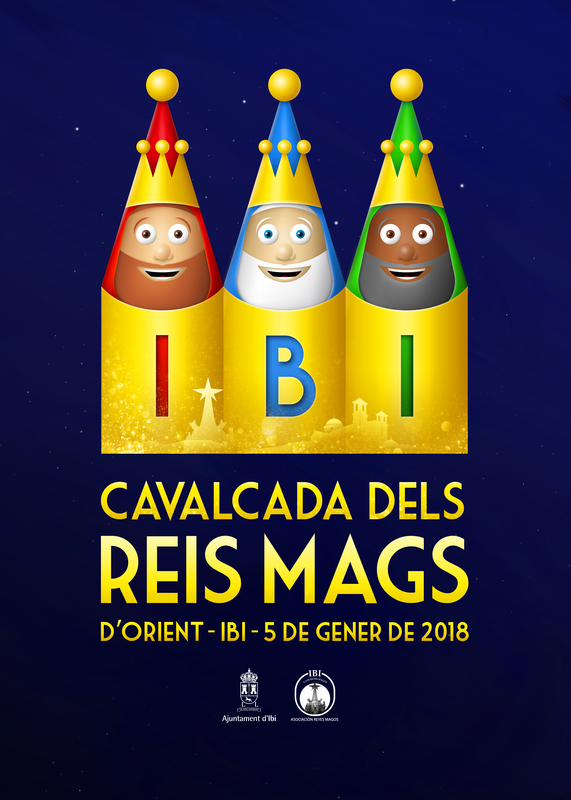 The Three Kings Association of Ibi promoted this practice in the past and commissioned some local graphic artists to design a poster that was exhibited in prominent places, serving to remind everyone that the Kings, faithful to their promise, would arrive on January, 5th. These posters used to be commissioned by the Board of Directors to graphic artists who were friends or family members, who used to do it at no cost, just for the pleasure and satisfaction of collaborating with The Three Kings. However, some people suggested the possibility of choosing the poster advertising the event through a funded national competition. In this way, a double objective would be achieved: to promote the festival of the Three Kings of Ibi nationally and give all interested artists the opportunity of exhibiting their work.